Don’t let Neurology test your last nerve. AMBOSS has launched a Qbank and study plan optimized for the Neurology Shelf Exam. Our Neurology Shelf Qbank adds more than 360 relevant questions to help you prepare for your next exams. With an emphasis on teaching important high-yield concepts in a concise, yet comprehensive manner, the AMBOSS Neurology Qbank marries clinical application with theoretical knowledge in our library of topics, such as cerebrovascular disorders, infectious diseases, sleep conditions, and many more! AMBOSS also contains thousands of interactive and dynamic images, tables, flowcharts, and other visual resources for every subject matter. While neurology is often considered more circumscribed than other Shelf exams, the questions are equally as challenging. This is why a devoted study regime and action plan are imperative to scoring well on the Neurology Shelf. Here are some special considerations to help focus your plan of attack and make studying for the Neurology Shelf a no-brainer. Similar to the Psychiatry Shelf Exam, the Neurology stems are long. To complete over 100 questions in less than 3 hours, you must move quickly. 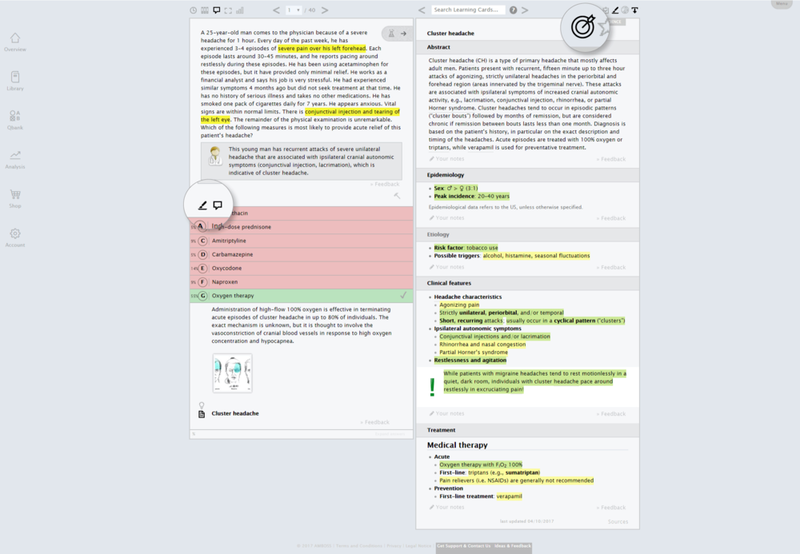 Don’t get bogged down by the many verbose blocks of text. Instead, focus on the high-yield information, which often appears early in the stem. Given the time constraints, try not to vacillate over a question. Instead, once you are comfortable with an answer, go with it and move on. Within the AMBOSS Qbank, you can access extensive, high impact content by flipping on high-yield mode to condense topics, a feature which is also available off-line. There is some overlap between the Psychiatry and Neurology Shelf Exam. Be prepared for an armament of drug-related questions. From migraines to depression and epilepsy, obtain the knowledge necessary for a myriad of pharmacological conditions. 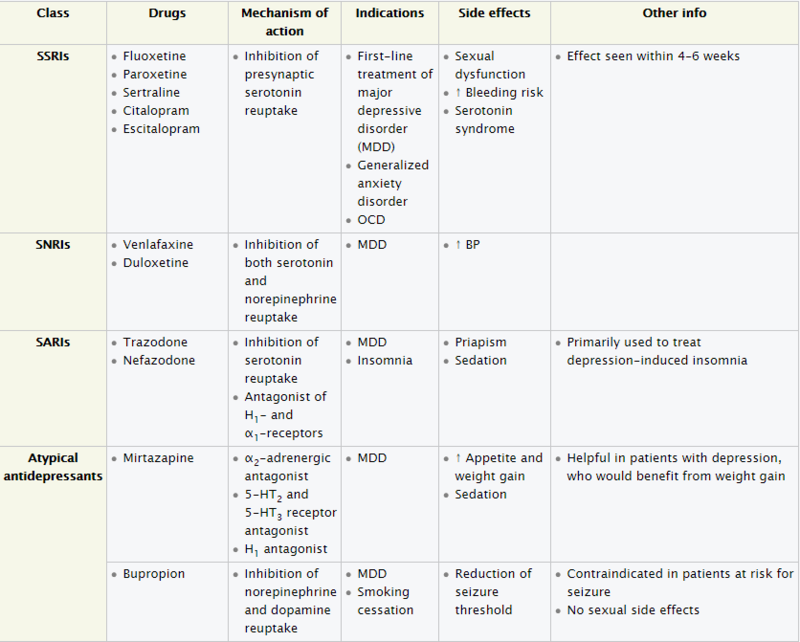 Study up on antiepileptic drugs, beta blockers, antidepressants, calcium channel blockers, anticonvulsants, NSAIDs and more! 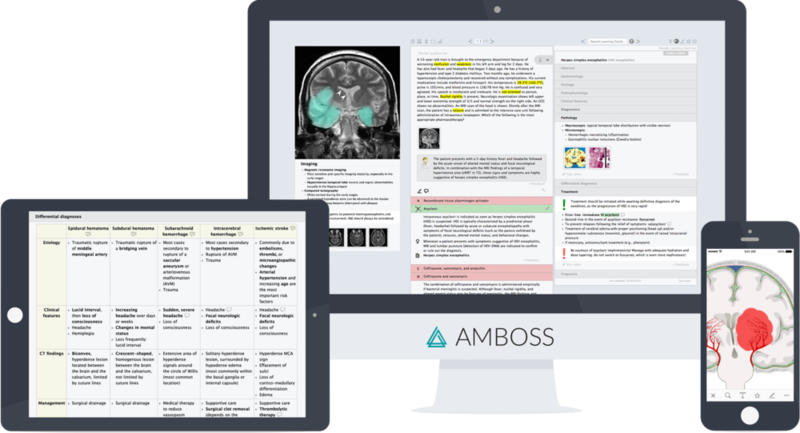 Utilize the AMBOSS clinical knowledge library, where you can access flowcharts, differential diagnoses, treatment information and more. Within the medical library, access thousands of flowcharts covering all high-yield material necessary to succeed on Shelf exams. Develop a systematic approach to studying lesion localization, since a large portion of the Neurology Shelf Exam will focus on this topic. Prepare to have an excellent understanding of the complete motor cortex signal pathway, from the brain all the way down to the neuromuscular junction, and finally the muscle. Retaining knowledge on sensory pathways is crucial since a significant portion of the exam will target this area. Explore lesion localization in our extensive Neurology Shelf Qbank. Make sure to master anatomy as you prepare for the Neurology Shelf Exam. Review the structure of the brain (e.g., axial, coronal and sagittal planes) and the spinal cord marquee tracts (e.g., corticospinal, spinothalamic and dorsal columns). The more you know about the structure of the brain and the spinal cord marquee tracts, the better you can explain different pathologies, which is crucial to scoring well on the exam. Pair the AMBOSS Learning Cards with the interactive Qbank for instant review and high impact learning. By pairing the AMBOSS Learning Cards with the Qbank, you can utilize important learning tools, such as "Learning Radar," which highlights topics that require further study, and "High-Yield Mode," which indicates key knowledge points. Brush up on classic conditions, such as dementias, cranial trauma, peripheral nerve conditions, meningitis, seizures and strokes, to name a few. There should be no surprises - you will be tested on these subjects. Revisit these conditions and gain insight into their pathophysiology within the AMBOSS platform. Study hard, instill your clinical clerkship knowledge and head into the exam with confidence. Visit the AMBOSS one-stop shop to find the package that meets your exam prep needs. Activate your account with us today to study smarter, not harder!